Say hello to refreshing baths that you just can't get enough of! Inatur Energizing Shower Gel with natural energy boosters comes in transparent gel form, it is 100% soap-free and contain natural skin conditioners, essential oils and extracts keeping your skin soft, supple and fresh all day long. 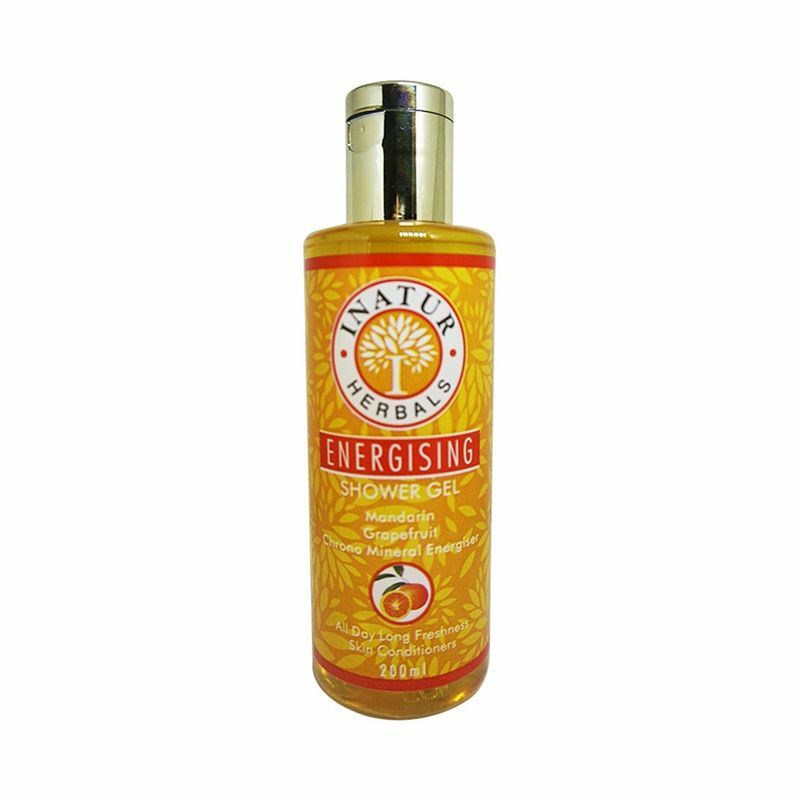 It contains Mandarin Oil that energizes the body, relieves stress, maintains moisture balance in the skin and has antiseptic properties, while Grapefruit Oil stimulates circulation, increases energy levels, enhances mood and promotes detox.Magnesium Aspartate/ Zinc Gluconate and Copper Gluconate act as energy boosters.This refreshing shower gel truly leaves you energized while you experience an invigorating bathing experience. Explore the entire range of Shower Gels & Body Wash available on Nykaa. Shop more Inatur products here.You can browse through the complete world of Inatur Shower Gels & Body Wash .